It’s that time of year again, when I am looking in Roland’s Amazon wish list and seeing if he made some of his items “priority”. This is how he lovingly nudges me in the direction of giving him gifts he really wants. A lot of them are books for his bedside – an ever growing pile – and since reading on a Kindle has become his favorite pastime – those are even faster to deliver. But what do you do when you want to surprise someone with a gift that is thoughtful and will help them live a fuller, healthier life? We have compiled a list of gifts that we would love to give or receive and we hope you find it useful! Let’s dig in. This device brings you more than an activity tracker. It detects when you walk, run, bike. It looks into sleep patterns and makes suggestions. It helps you form healthy habits, torch calories and stay on top of your performance goals. For a mouth watering video, go here. If you LOVE coffee and the smell of a freshly roasted batch straight from the source, then this is your gift. Oh wait, someone else was supposed to get this, right? How about you subscribe, give a few bags as gifts and keep the rest for yourself in the following months? We love Beacon coffee and do our best to get it when we travel up to Ventura, their selection is exquisite and the quality is fantastic. If you are ready to step up your bean experience and help your loved ones enjoy true quality, this gift is perfect. Say: “Honey, try this salted caramel coconut almond butter” – and watch her melt. Or him melt! Our friends from Ingreatients make nut butters that are to die for. Spread this on a piece of apple Chirstmas morning? Or eat it straight out of the jar like we do! Go ahead and order a jar or three – today. Katy Bowman is my teacher and mentor, but this is not why I think this book is amazing. It’s amazing because you are human. And it makes an amazing holiday gift for any friend or family member – from the least to the most active ones. 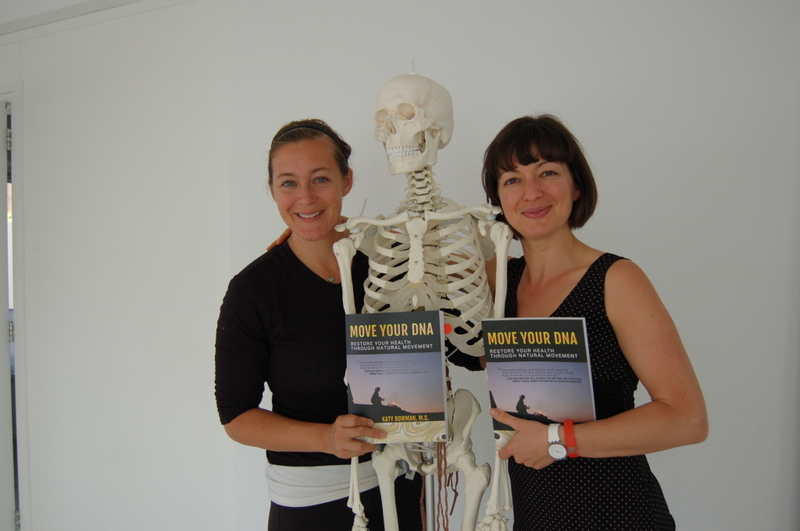 It’s fun, engaging, and a manual for your own body – you will see why certain places ache and trouble you, start to see your human self as a part of a bigger whole, and gain insight into the smallest cell of your body – and how movement affects it. 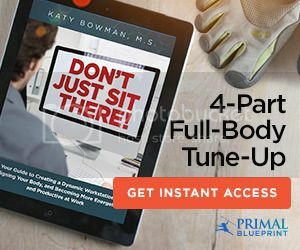 This book is a manifesto for a whole new tribe of humans – one that is ready to make smarter choices, get closer to nature and find a way to true health. No hacks, just the DNA that was given to us. The DNA we can change. I know I am giving a lot of these books away this year. I hope you do too. Move Your DNA is also available in audio format, so you can listen to it while you walk and move your DNA 🙂 You can instantly give it as a gift through Amazon – easy, fast, healthy – what else do you need? From the small and cute FitBit Zip, that only tracks your steps, to the fancy and gorgeous accessories by Tory Burch, at Fitbit.com, there is something for everyone who wants to track steps, calories, stair, sleep and nutrition. We really like how the devices integrate with your phone – the food logging system is so simple and easy to use – you can punch your food directly into your smartphone and FitBit helps you set goals and stick to them. 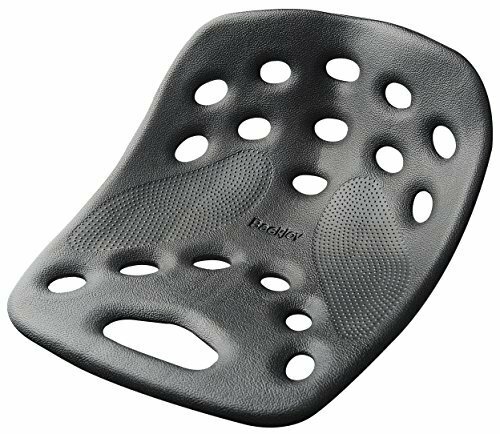 This simple and very inexpensive device fits on the seat of your chair so that your pelvis can be in a neutral position and you stay off your tailbone. This helps maintain more neutral spinal curves, supporting you while you work. Unlike a support or cushion that goes behind your low back, this support goes under you and makes your pelvis stay where nature intended. It’s amazing for long days of work or driving and it’s light and portable. We have one at our kitchen table and office and we are in love with it. Check it out on Amazon, where it comes in different colors and models. We own the orange colored one and we love it! This is shameless personal promotion time . But hey, that’s what I get to do around the holidays, when I spend time compiling gift guides. 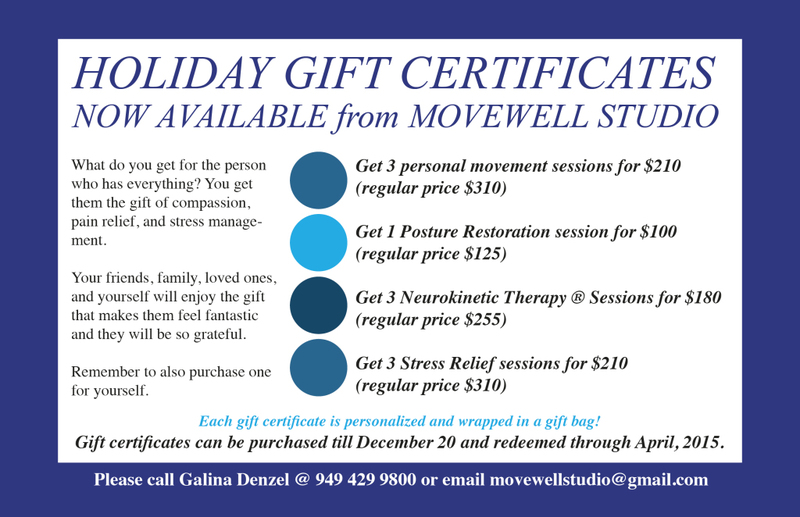 Seriously, dear friends, I am happy to offer gift certificates – movement is so much needed in everyone’s life – why not give the gift of movement? Whether your loved ones live in Southern California or not, this is a gift worth giving. Other than my NKT® sessions, I offer all others over Skype – so we can work in every corner of the world. Shoot me an email or call for more details – I will personally print, customize, wrap and send the gift for you! And then take great care of your friends and family. You are welcome. Unless you’ve been living under a rock, you’ve probably heard about the multiple benefits of massage. Nowadays though, most of us are too busy to log an hour or two on the table. When we go into the gym, or even just go for a walk, parts of our body may start to scream – some tightness in the calves, maybe the low back or the neck. You can learn how to unlock those places in your body with gentle home self massage – using the balls from the Yoga Tune Up system. The website has many kits and tools to choose from. You can also get Jill Miller’s fantastic new book on self care though massage using the Yoga Tune Up balls, on their website, or on Amazon. This is the perfect gift for someone who loves lifting weights, yoga, hiking, mountain biking – all your active friends and family will love you for it! Our days are getting longer and many of us spend lot of time staring at screens way after the sun has set. The light that TVs, computers and phones emit is in the blue spectrum – the same light as daylight. This signals to our brains that we are still working in daylight and prevents our bodies from making the sleep hormones necessary for good rest, immune system and prevention from many modern diseases. 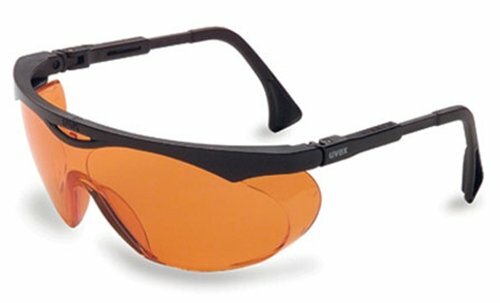 When using these blue blocking glasses at night, many of our clients report being able to go to bed on time, an easier time sticking to a sleep schedule, being able to wake up refreshed and full of energy. This is a very cool gift for all members of your family – it’s easy to wear those glasses and definitely much easier than installing blue light blocking software, changing all your light bulbs and saying NO to TV at night. Sleep hack? We wouldn’t go that far! Great and intelligent self care tool? Definitely. Your friends or loved ones turned Paleo on you? They would rather have jerky than a granola bar? Then you can make them snack-happy on Christmas morning by giving them a variety of Epic bars. The meat is grass fed, humanely raised and sourced from the best ranches. The flavors and texture of these jerky bars rate way above average and we highly recommend them for someone who has a busy life and needs to snack on the go. Lamb and mint is my favorite flavor, but be your own judge. This kit is lovely and comes at a great discounted price on Amazon at the moment. I have purchased it before and I am so happy with the oils. Essential oils have many applications – from helping with anxiety and stress, to alleviating stomach ache, cold and flu, and even to cleaning your home. 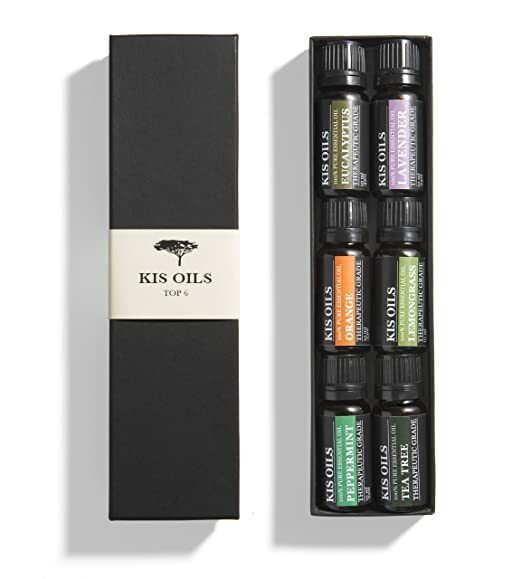 You can give this lovely pack of 6 oils to a friend or loved one who is into scents, oils and healing herbs. I love lemongrass and tea tree oil – in fact I clean all my equipment at work using essential oils. They are an ancient and effective way to take care of your health. For a more upscale aromatherapy gift you can also check Doterra – they have bigger kits, education materials and proven quality. That’s our 2014 holiday gift guide – we hope you find it inspiring! 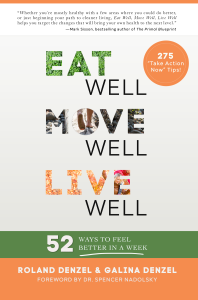 For more gifts that say Eat Well Move Well, check out our BOOKS section and our AMAZON STORE. Disclaimer: we don’t get anything from the companies and products above. This information is intended to give you access to many places and websites that can help with getting gifts for your friends and family. We like those products and feel they are worth having! Peace! Q&A – What about alcohol? Which beer to choose? OMG The Holidays are here!